It’s been a while since I’ve posted, but look soon to find treats such as raspberry-lemon tart, Chocolate-hazelnut brownies (oh my goodness), and more truffles! 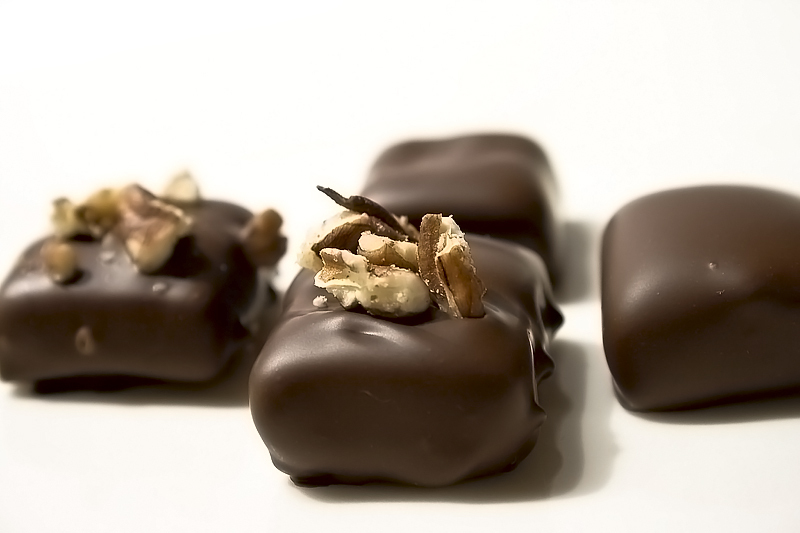 Meanwhile, I had an appointment today with the owners of a local wine shop to do some chocolate tasting and talk about adding chocolates to their offerings – the meeting went very well, and it looks like I might be putting together an exclusive line of chocolates for them. (Exclusive meaning not being offered at any other wine shops – if you want to buy them directly, you will certainly be able to). Currently the thought is to put together a chocolate/wine tasting sometime in the next month or so – time to start brainstorming flavors! So, dear readers, what flavors of chocolates would you pair with wine? (and which wines) I’m really drawn by spices and teas for flavorings – the earl grey truffle is amazing, and so is the organic peppermint (although I’m not so certain about the pairability of that one 🙂 ). I’m also a huge cardamom fan. Would love to hear what you think!